Nose surgery (rhinoplasty or septoplasty) is usually performed while you are asleep under a general anaesthetic. It can be as short as an hour or as long as eight hours. If there hasn’t been previous surgery, Dr Smith generally takes a little over two and a half hours. After surgery you are wheeled to the Recovery Room where you stay until you are fully awake. Then you return back to Day Surgery area where you first started and after fully awaking from the anaesthetic, later the same day you return home. This time varies between people and can be two to eight hours. Plan on someone to take you home. Although you may feel able to drive, your reflexes and judgement are still subtlety impaired. Also most people are nauseous and many vomit initially to rid the stomach of blood which has seeped down from your nose while asleep. When you get home you will want to rest. Having a friend or relative around for the first few days just makes things easier. Not that you are ill, but you will be tired and uncomfortable. You will likely rest, watch TV, listen to music and generally chill. There is little you need to do other than some easy rhinoplasty aftercare. You will feel discomfort and some pain around the nose and central face after rhinoplasty. Many people expect a lot of pain and are often pleasantly surprised. Those who have had a broken nose commonly are happily surprised, as the rhinoplasty surgery is less painful than the fracture. If the ear or chest is also operated on to harvest cartilage, these areas are usually more painful. Use the pain pills for as long as needed. Remember its easier to stay on top of pain than to play catch up. Don’t try to be a hero, take the pain medication. As the pain diminishes, break the pill in half or even a quarter. Another suggestion is to switch to extra strength Tylenol. The pressure and congestion lasts longer, usually a few weeks. Cleaning your nose helps reduce the discomfort. Some people have headaches while their nasal stents are present due to sinus congestion. Most people have nasal pressure, fullness and discomfort after nose surgery. Some people wonder if taking an over the counter decongestant will help. Sadly it’s rarely the case. Your nasal breathing is reduced after rhinoplasty even if no internal surgery took place. This is due to post surgery swelling. If there was additional internal nasal surgery (Septoplasty or Turbinate surgery), the internal nose stents narrow the nasal channels temporarily and always cause some degree of nasal blockage. There is always some nasal discharge after rhinoplasty or septoplasty for the first few days. This is nasal phlegm from the nose being stimulated by the surgery and by the stents inside the nose. There is also some blood oozing from inside the nose. The usual sources are the open raw wound of the amputated end of the turbinates and/or the osteotomies (bone cuts at the sides of the nose). This mixture of blood and phlegm will dry up and crusts will form around the nostrils unless the nose is cleaned frequently. The major part of rhinoplasty aftercare involves cleaning your nose. You will need to clean your nose using cotton tip applicators dipped in hydrogen peroxide. The hydrogen peroxide can be obtained from any pharmacy. When you first return home, you will usually need to clean your nose every hour, maybe every half hour, as oozing is at its maximum. If the bleeding is more, the blood drips from the nose, then it is time to contact my office by email. This risk of bleeding of a significant amount is around 1%. It’s not necessary to wake up throughout the night; however you will find the first few cleanings next morning are heavier and take longer. As the days progress, the bloody discharge slows, and often by the time you have your sutures removed at day four, it has stopped. As the flow slows, the frequency of cleanings should diminish. When there isn’t any oozing or crusts, you stop. People are usually nervous about cleaning and are afraid they will inadvertently cause damage. This is rarely true. The nose is being supported by the external nose cast and most importantly by the internal nose stents. Also the nose is tender and this too will stop too aggressive attempts at cleaning. It will take several cleanings before all the nose crusts can be completely removed. There are two small sutures at the sides of your Columella which trap crust and make it next to impossible to completely clean out all the crusting. Please leave them alone and they will be cleaned at your first post-operative visit. Please clean right across the three black sutures under your nose as well as inside your nostrils about half an inch. Please remember care is needed not to press on the nose and distort it. Your nose at this stage following rhinoplasty is weakened from the surgery and can be inadvertently pushed out of shape if you are unusually aggressive. However please remember, this is very unlikely and shouldn’t stop or reduce your cleanings. The post-operative swelling from rhinoplasty starts while you’re asleep during surgery and usually reaches its maximum the third day after surgery. It is greatest of course on the nose but usually also spreads to the eyes, cheeks and upper lip. Swelling varies from person to person. The swelling is related to the degree of rhinoplasty surgery, the care taken by the surgeon, the thickness of the nasal skin, previous surgery, the length of surgery and most importantly the amount of bony work done. The breaking of the nasal bones is the most important cause of swelling. If you don’t need this done, you can expect a lesser degree of swelling. The swelling resolves over several months. The swelling rapidly increases the first few days after rhinoplasty and then starts to shrink during the remainder of the first week. It then continues to shrink, but slower and slower as the weeks turn into months. Half the swelling is often gone at a month after nose surgery and two thirds by two months. The thicker the nasal skin, the longer the time require for swelling resolution. It masks the eventual appearance of your new nose, as the underlying rhinoplasty sculptured bone and cartilage can’t yet be appreciated. There are medications used at the time of rhinoplasty surgery and also during the first several weeks afterwards to help speed up this natural healing process. There are a few things you can do to help reduce the degree of swelling. Sleep upright. Either in a bed elevated or a recliner chair like your grandpa has. If you move around while asleep and tend to slip of the three pillows needed, then instead put a couple of bricks under the legs of your bed. This will cause the bed to be slanted downwards. Use as many as you can tolerate, although two is usually all one can take. Icing is often used. However it isn’t as effective as with other injuries, like a twisted ankle. The reason is it isn’t possible to apply the cold compresses directly on the operated area. So just the surrounding cheeks, eyes and upper lip are available. Also cold compresses are miserable, and you are likely going to be in enough misery already! If you choose to ice your nose, then please don’t in fact use ice! Instead get a few bags of frozen peas, rap them in a cloth and rotate them. Five minutes on, then twenty minutes off. However there are several things that can unfortunately interfere with its resolution. Exercise, sunshine, medications, smoking and injury all have the potential to reduce or even prevent the rhinoplasty swelling from resolving. Our bodies will start to organize prolonged swelling by laying down collagen and forming scar tissue. If this happens the nose remains thick and can’t become refined and shapely. Therefore sometimes its a race between swelling resolution and scarring. Exercise is proscribed for the first month after rhinoplasty. You can of course walk, in fact you are encouraged to, and remain active, but anything that would raise your blood pressure, increase your heart rate or make you sweat must be avoided for the first month following rhinoplasty surgery. Any sport activity where your new nose is placed in harm’s way must be avoided too for the four months following a nose job. If you’re a martial arts practioner, hockey player or a boxer, rhinoplasty should be postponed until your career is over. The exception is a broken nose causing functional problems like difficulty nose breathing. After a rhinoplasty or septoplasty your breathing usually is compromised. If the rhinoplasty was strictly cosmetic, you will experience increased difficulty in breathing normally through your nose. This is due to several factors. The nasal phlegm and blood collect inside the nasal channels and reduces the nasal patency. Although cleaning your nose is strongly recommended and is the most important part of rhinoplasty aftercare, it’s not possible to remove crust and blood deep inside the nose. Post-operative rhinoplasty swelling happens not just outside but also inside too. This also reduces the cross sectional area of your nasal passageways. Plastic soft and flexible nasal stents are placed at the time of surgery inside your nose and these too take up space further narrowing the nose breathing passages. After rhinoplasty there is a progression of improving nasal breathing over the following several weeks. Maintaining a clean nose, free of crusts and dry blood helps. When the internal nose stents are removed, there is an immediate and at times dramatic increase in nasal breathing. Post operative rhinoplasty swelling resolves over many weeks. In fact not infrequently people notice a loss of clear nasal breathing occurring over the first few days after their nasal stents are removed. This is because the internal nasal swelling has increased as the stents are no longer present to resist and keep the swelling back. Bruising often occurs after rhinoplasty, but is not inevitable. Like the swelling, it’s related primarily to the amount of bone surgery done. If the nose needs filing down of the nose bone and especially if the nose bones require cuts, the likelihood of bruising increases. There are several ways a rhinoplasty surgeon can reduce the degree of surgical bruising. These are techniques learned from experience, not necessarily from training and certainly not from medical textbooks. Another reason why choosing an experienced rhinoplasty surgeon is truly the most important decision a patient can make. Bruising can start to appear the day of surgery, even while the patient is still on the operating table and usually reaches its maximum by the second or third post-operative day. The bruising is the greatest under the eyes, the well-known ‘shiners’. Surprisingly it is not often on the nose itself after rhinoplasty. It can transform into all the colors of the rainbow till it disappears by two weeks. When it reaches a honey yellow color, it has only a day or so left. There is no treatment needed to speed up resolution. These aren’t readily available in the usual cosmetic counters but are found in professional specialty shops. It’s not really worth the bother since it’s all done in two weeks. These soft internal nose stents keep the septum straight while the nose is still healing. There is an open channel running along the stent to allow for nose breathing. Nasal breathing is compromised for as long as the nose has internal stents. Plastic stents inside the nasal passages are needed to support the nose while it is in a weakened state from the rhinoplasty surgery. Without them, the nose may not retain its new shape. If the interior nose was healthy and little internal surgery is performed, their support is sometimes not needed. Most rhinoplasty surgeries need stenting for a week, while some noses require internal stenting for 2 and rarely more weeks. The more damaged the nose, and therefore the greater the degree of rhinoplasty surgery, results in a less stable and weaker post-operative nose, which in turn needs longer support. They supply support while the septum is too weakened immediately after nose surgery to maintain itself in the desired position. The stents are stitched in placed. Do not be apprehensive about their removal. Please click the following to see how difficult stent removal is. Stent removal. It will not be painful. It is uncomfortable when they are removed, but less than people fear. On the contrary, you’ll probably feel much better immediately afterward. If you wish to see another internal nasal stent removed click here. Internal nasal stent removal after rhinoplasty. Your nose cast lasts for a week. It helps retain the new shape of your nose and protects from unexpected bumps. It’s attached to taping which itself is glued onto your nasal skin. Taping is important as it helps retaining the swelling a little. In some cases, like thick skin or revision rhinoplasty, taping continues for a few weeks after the cast is removed. Your skin usually goes through a reparative process of several days to a few weeks after the cast is removed. Both the trauma from your rhinoplasty surgery underneath it and the adhesive glue used to hold your nose cast on can result in your skin breaking out in white heads. Skin often goes through an oily period as healing makes the skin glands overstimulated. Good skin care is part of rhinoplasty aftercare and is needed during this phase of healing. Wash your skin with soap and water only. Anything more stimulating will aggravate and irritate your sensitized skin. Later on after your rhinoplasty, your skin can become dry and flaky. This eventually settles after a few weeks. Again simple skin care is all that’s needed. You must avoid the sun by either wearing a hat or using sunscreen for the first six months. It does not mean you can’t be in the sun, only you can’t let the sun shine on your unprotected nose. All but one incision is made inside your nose. The external incision is located under your nose in an area called the Columella. This area covers the end of your center bone/septum, and is the fleshy strip between the two nostrils. The three black nylon stitches are removed three to five days after rhinoplasty. Removal is easier if your nose is clean and free of crusts and dry blood. If you would like to see these Columellar sutures being removed click here. For some people the incision becomes increasing red over the following several weeks and can worry patients. Please remember the “6 and 6” rule of scaring; at 6 weeks the incision is its most red, and at 6 months it has settled and become white. This external incision is visible, but seldom noticeable. Usually only you and your surgeon can find it. The skin here is excellent for healing and only in perhaps 1% of cases, the incision is cosmetically objectionable. Several times a day you need to clean your nose with Q-tips dipped in hydrogen peroxide. Each cleaning will remove more and more of the debris and slowly your nose will become free of crusts. The most frequent cleanings will be the first night after Rhinoplasty surgery, when often the nose needs to be cleaned every hour. As the bloody oozing diminishes, so can the frequency of cleanings. This helps with the rhinoplasty healing and also makes you more comfortable. It can often improve your nasal breathing which is to a varying degree always impaired after rhinoplasty. As long as you don’t move the flesh of your nose, you can’t damage the rhinoplasty surgery; hurt your nose or cause bleeding. The mustache dressing placed under the nose is only there for convenience, as soon as the oozing has ended, it no longer needs to be worn. Your nose remains in a weakened state for many months after rhinoplasty. You must not play with it, rub or move your new nose for the first month. Cleaning gently or blowing your nose is fine, in fact cleaning is encouraged. Unless instructed, don’t use any nasal sprays or rinses in the nose. The concern here is the nozzle can inadvertently distort the nostril and shift the underlying cartilage. The goal is not to move your nose. As the nose flesh heals, your nose can shift and settle very slightly, just like a newly built house. These tiny nasal alterations can sometimes benefit from a series of tiny nose injections in about a fifth of people. Slight irregularities or asymmetry after rhinoplasty can be improved in this fashion. When there’s an area of retained swelling, a steroid can be injected to speed up resolution. About half the time they are valuable. From one to four injections spaced a month apart is common. 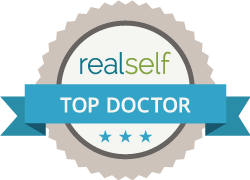 When there’s a slight depression, absorbable tissue filler like Restalyne or Juvederm can be used. They last longer in the nose than other areas of the face as there is much less tissue movement from facial expression here than elsewhere. At a later date, longer term filler can be used. At times for certain types of noses these tissue fillers can be all that’s necessary to achieve the aesthetic cosmetic goal and rhinoplasty surgery can be avoided. These injections after rhinoplasty are less painful than expected because hundreds of the small nerves running under the skin are severed when the skin is raised off the nose. This causes the sensitivity of your nasal skin to be reduced for several weeks to months afterwards. In fact usually there remains a small circular area at the tip of your nose which is always slightly dull. People have never found this an issue in my experience. Sometimes the internal surgery causes the dental nerves to the front teeth to be bruised. At these times the front two to four teeth can feel numb. It can take up to a year for these nerves to repair. Another issue can be the two nerves of smell. They are located high up at the root of the nose, directly between your eyes. Very rarely they can be affected by nasal surgery and result in total loss of smell. This isn’t the common temporary reduction in the sensitivity of smell; this happens frequently and resolves when the stents and swelling clear. Rather this is complete and permanent loss of smell; there is no known treatment. Fortunately this is so rare that most surgeons will never see a case during their career.